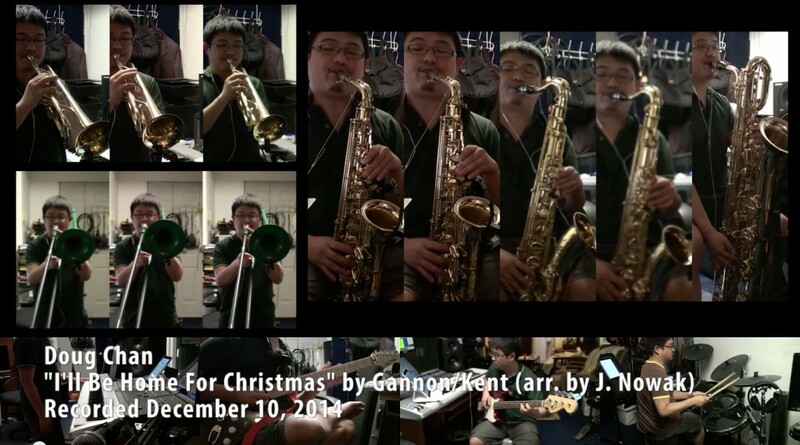 Doug Chan - Page 2 of 5 - Guam-raised musician, educator, and software developer. Guam-raised musician, educator, and software developer. Concert Band Recording at Cars Plus! 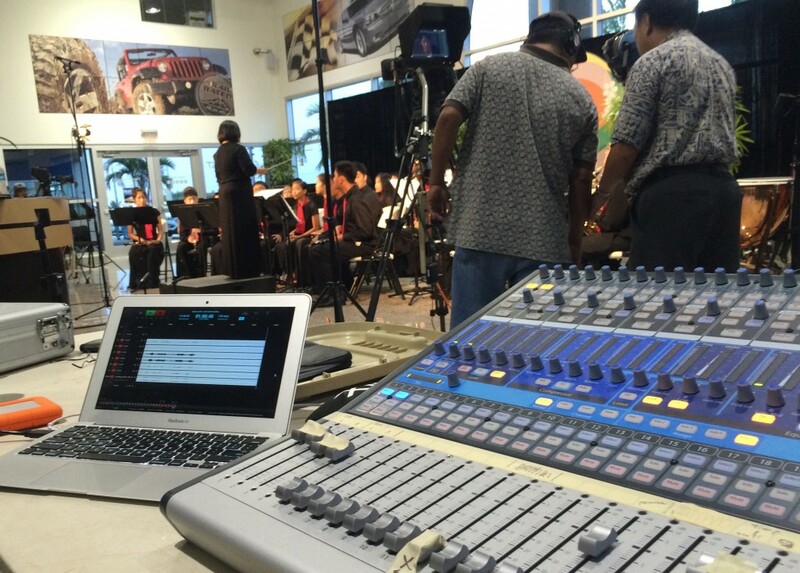 I, alongside PBS, spent my Sunday recording the Guam Territorial Band and Guam Honor Band at the Cars Plus showroom in Maite. I used about 10 mics this time instead of the usual 2-4 that I use. I mic’ed the front with two condensers as well as two floor mics. I then mic’ed the entire percussion section for added clarity. I brought my 24 channel mixer though, so if the space permitted, I would have used more mics…especially since the trumpets weren’t really coming into the mix. It was a new and fun learning experience for me regardless :) The recording was for a telethon to be aired on PBS Guam (Channel 12) Thursday night, April 30, from 7pm to midnight. Enjoy! 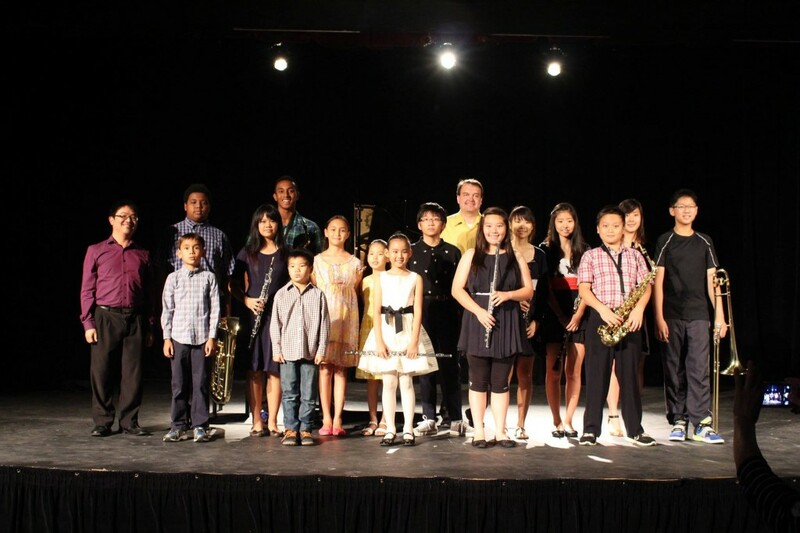 Catch the Guam Symphony Society at Southern High School Auditorium (GATE Theater) this weekend! 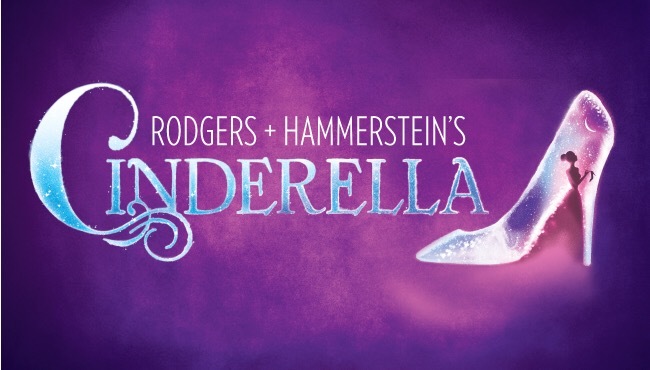 Academy does Rodgers and Hammerstein’s Cinderella! The student recital was a major success! All of Dr. Stephen Bednarzyk’s and my students did a wonderful job. It was also the first time I had my recital in a bigger venue (in the UOG Theater rather than the FA127 classroom). I think it made some of my students more nervous, but overall they took it really well! There wasn’t too much of an audience, so there wasn’t too much pressure on them. I love putting recitals on for my students because it makes them work and practice towards a goal, but at the same time, I am really glad it’s over. Time to enjoy my break! It took me two days of recording and editing, about 24 hours of work total. It was so fun to make. I want to do more of these! 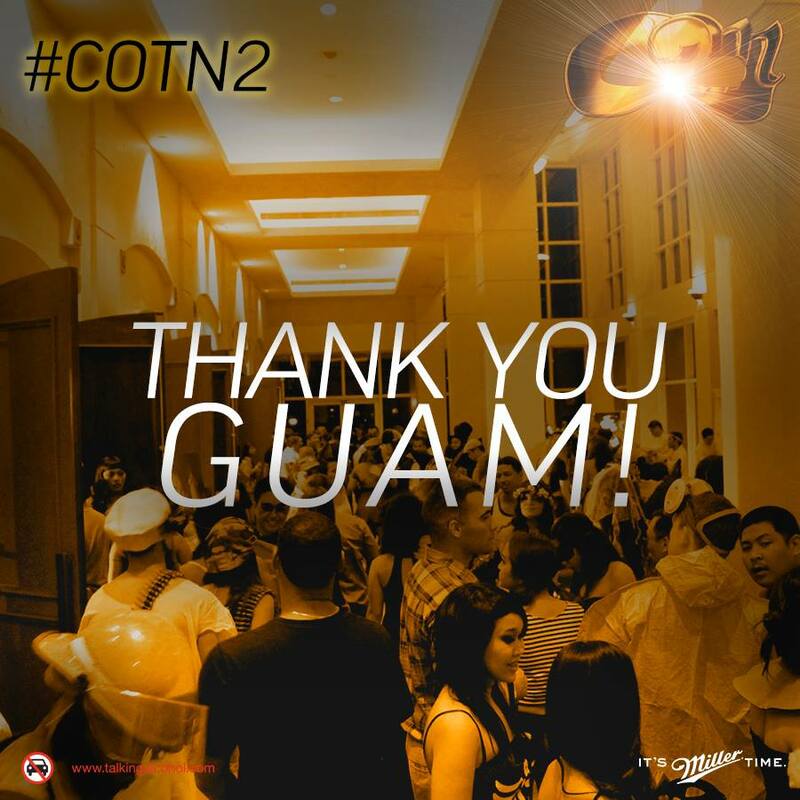 This was probably one of the greatest musical events held on Guam by a local non-profit. It started out with a small VIP cocktail party with drinks and food. There was also a pretty cool photobooth that gave away frames with your pictures. You know, it’s actually been a while since the event, and I wish I had blogged about it right away. The truth of the matter is, though, that I was busy doing sound during the event that I missed most of it. The sum up, it was a very classy and well attended event. The music by the GTB was some of the hardest we’ve ever played, and we managed to pull it off. In between GTB’s set, Cantate came up to do a few Chicago tunes from their concert not too long ago. We also had major support from big names on the island, and we spread the word that GTB has one main mission: to ensure that music education keeps growing on Guam. Personally, it was one of the most musically rewarding concerts I have ever played for. It was probably mostly because I played some really hard pieces on trombone, an instrument I picked up not too long ago, and did a pretty good job if I do say so myself! 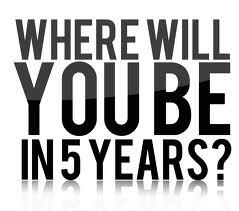 Anyway, to the future of music education! 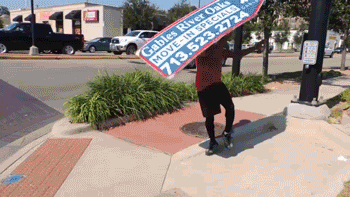 You need to watch this now. I just discovered this song (way too late if you ask me). This version of this video is so amazing. The head is great, the solos are great, the soli section after the piano solo, and the sax battle after that. Holy crap. And everyone’s energy is just intense. 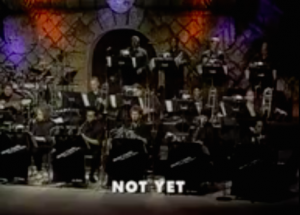 If you like funk, jazz, and big band music, watch this NOW! I am so mad. There was air conditioning issues with the Southern High School auditorium which is home to GATE Theater. The parts are there, but they aren’t able to make the repairs until next week. Because of this, they had to cancel the last couple nights of Grease. There are no words. 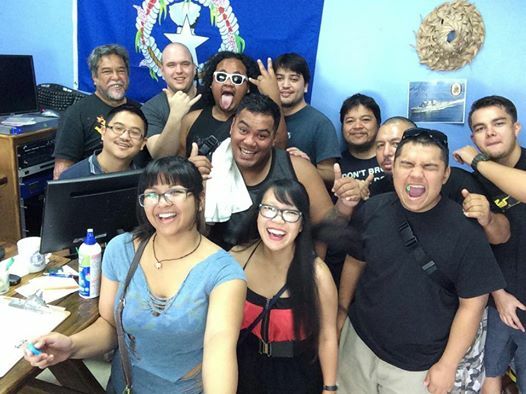 Hundreds and hundreds of cumulative hours of work had gone into putting together this show, but now they had to cut the run short all on a count that GovGuam and DOE can’t get their act straight. They had better not run the auditorium into the ground again. It was closed for almost 10 years in the past because they didn’t know how to upkeep it. 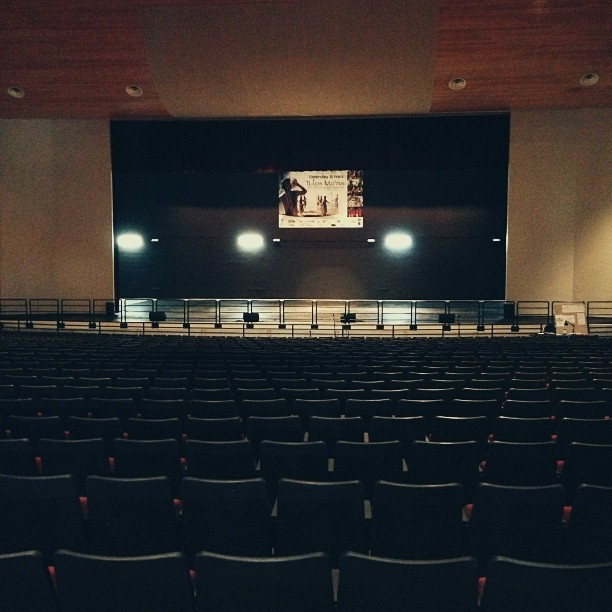 This is the best auditorium that Guam has, and it would be a shame for it to go away again. Sabrina and I have been engaged for four months now! 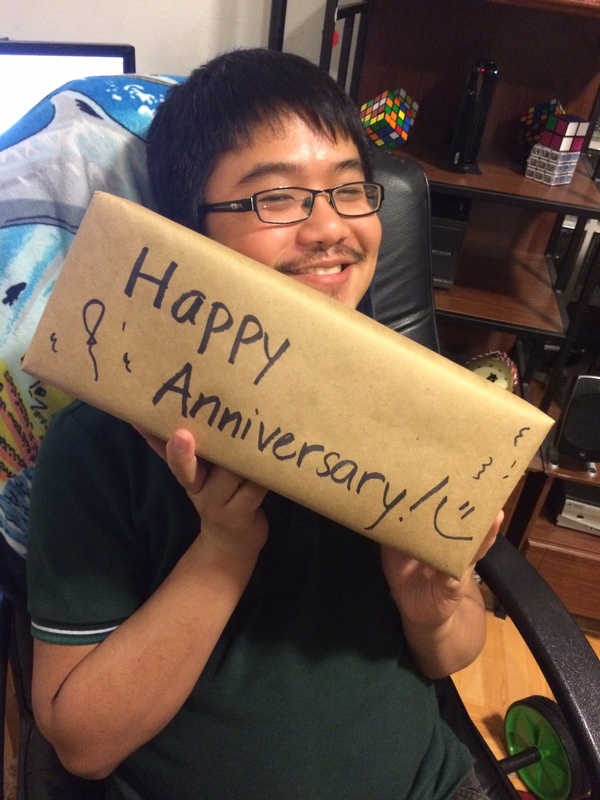 Eeeee :D She got me a gift, but couldn’t wait to give it to me, so she gave it to me a day earlier hah. How did she know?! I will add it to my boxes-wrapped-in-butcher-paper collection. She has been raving over a pair of Zorries that she bought herself a week or so ago, and I guess she wanted me to have a taste of it too. They’re called Nike Comfort Footbeds. When I finally unwrapped and opened up her gift, I was so excited! 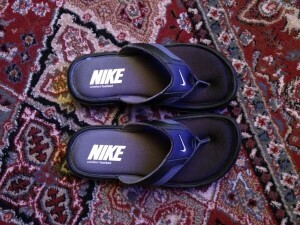 My recent pair of comfortable zorries had just retired indefinitely, and she knew I was on the market for a new pair. Plus, she kept making moaning noises whenever she put on her own pair, so it was nice to finally see what the fuss was all about. I reciprocated by taking her to get some sushi! We went to go try Rotary Sushi, which I know has been there since forever, but neither of us had ever been there, so we decided to go for an adventure. I don’t have any pictures from it, but two words can sum up the food there: fresh and expensive. Totally worth it though. Here’s a mesmerizing gif of your favorite food (minus the cheese) being manufactured. Mmmmmmm. I’ve been buying my Macs and other Apple Products on eBay for years now. Sometimes, I’ll even buy straight from the Apple online store. Neither has been ideal for me though. With eBay, sometimes, you never know what you’re going to get. Luckily, I haven’t had a problem with that yet. With the Apple online store, they don’t ship to Guam. So, not only do you have to pay tax (which hurts, by the way), you have to pay extra shipping to use a forwarding company (I use Aloha Forwarding, which runs on the expensive side). So you can imagine my excitement when I heard there was an official Apple reseller chain opening on Guam. I visited the store twice this weekend. It’s beautiful, just like an original Apple Store. There were plenty of things to play with, and they had everything on display. The staff was very helpful and friendly too, greeting you as you enter and answering any questions you might have. You’d think the pricing would be high, especially for Guam, right? Nope! The prices are PHENOMINAL! They pretty much charge the same price as the the Apple Store, adding 4% GRT. This is way cheaper than what you would spend buying a new item anywhere in the United States (except for maybe New Hampshire, which doesn’t have sales tax). Ok ok, everything good so far, right? Well, here’s the catch… They don’t carry stock of Apple’s newest items. 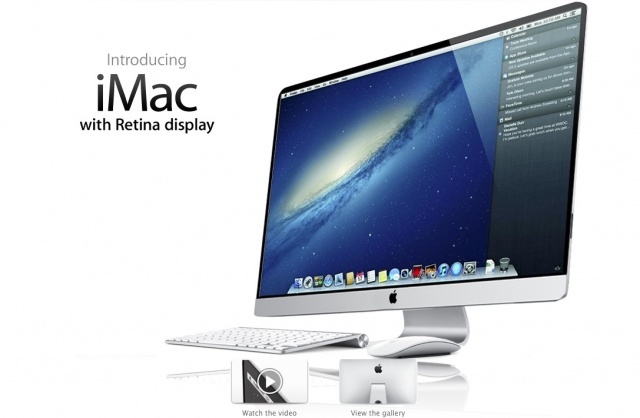 My wallet is ready to purchase a Retina iMac. I was actually going to, too, but they didn’t have any in stock. Honestly, I’ve been wanting an iMac so bad to start on iOS development that I would have settled for a 2013 iMac if they had a Fusion Drive option, but mostly everything they carried in stock was base model or a step up. On a similar note, they also don’t carry the iPad Mini 3 or the iPad Air 2 (yet). To be fair, they said they would be expecting the Retina iMac sometime next month, so it seems that maybe it’s just that Apple isn’t giving priority of newer releases to their authorized resellers. So it’s back to ordering online for me. My baby and I decided to check our Creatures of the Night 2, a big Halloween party on Guam held at the Hyatt Regency Guam. 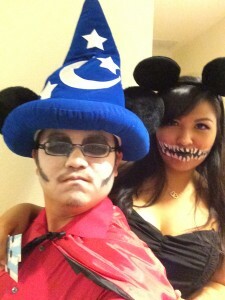 We decided to go as another couple outfit with some dark/zombie-ish Mickey and Minnie Mouse costumes. Sabrina did a great job with her big, scary teeth, didn’t she?! She was supposed to do the same thing to my face, but my mustache was in the way. With less than an hour left to do makeup, she decided to just give me long sideburns to go with my facial hair. It wasn’t as cool as hers, but I liked it. 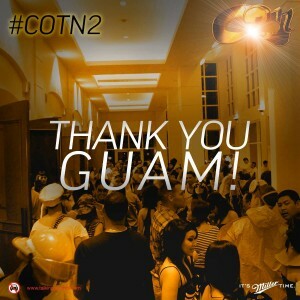 The Guam Territorial Band will be playing a concert at the Lotte Hotel Guam banquet room in the bottom floor. I’ll be participating as Trombone! We’re going to be playing a pretty great set of songs in their amazing new facility, and on top of that, it’s FREE! Come check it out if you have time. I went to Walt Disney World on Christmas 2013 for my brother Alan’s wedding. I hadn’t been there since I was a little kid, so I was stoked, mostly because I would be able to finally ride all the rides this time. 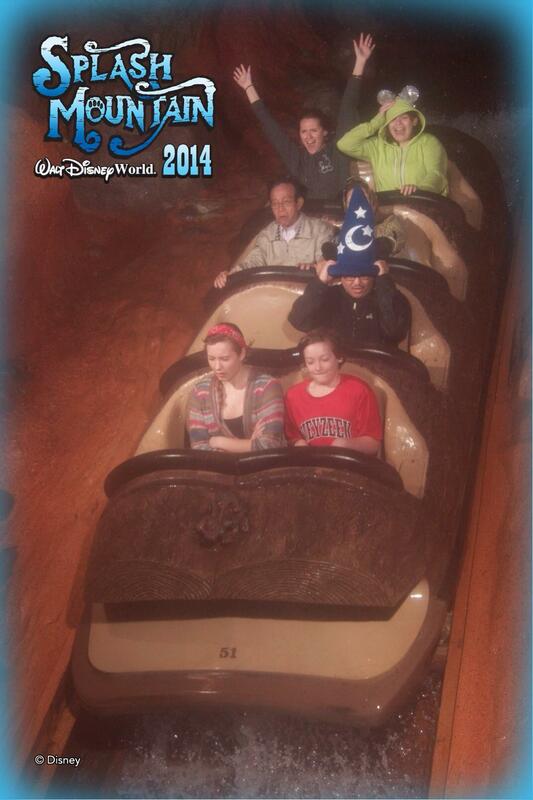 So one of the first things I see when I enter the Magic Kingdom is some teenager wearing a Sorcerer Mickey hat. He looked so boss wearing it too. I just knew I had to have one. So I did. I went to the nearest merch store I could find and I bought it without even thinking twice. I spent the rest of my week is Disney wearing that thing nonstop. I loved it so much. It was my most favorite thing ever. As a plus, when it would rain (and it did a LOT…c’mon, it’s Florida), the hat made a great hat-umbrella to keep the rain out of my eyes. So, the next day after Magic Kingdom, I go into Disney Hollywood Studios, and I see the huge hat right in the middle of the park. Oh. My. God. I was so happy. And I saw a band playing under it too. It was the greatest thing I had ever seen in my entire life. 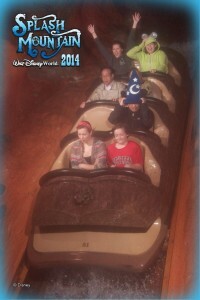 I had no idea that the hat I was so in love with was a centerpiece of an entire park. Anyway, when I read the article, it broke my heart a little bit. I really I hope I get to see it one more time before it goes down. Sabrina and I plan to take a trip there in a few years for our wedding/honeymoon in Florida (yayay), so here’s hoping! The best part of this post is actually one of the top comments. I’ve been waiting and waiting for a new Mac Mini for a couple years now. I bought a Mac Mini in 2011, mostly as an HTPC. I’ve slowly been using it more and more to do work though, because coming from a Windows user, it’s really hard to find equivalent apps to use on a Mac when you’ve already gotten so used to the workflow on your Windows programs. I’ve since then gotten very comfortable working on a mac, having owned a Macbook Pro (2011) and Macbook Air (2013) since then. The biggest thing for me though is that I’m getting into iOS develpment now, or at least I want to. I do have a working Mac Mini and a working Macbook Air, but the problem is that my Mac Mini is stuck on Mavericks due to some of my audio equipment not working on Yosemite (so I can’t program with Swift), and the Macbook Air is sometimes being used by my Fiancee, so I don’t have access to it all the time. Not only that, but I am really spoiled by my PC because it has 4 screens. Since I can’t afford a Thunderbolt Display or two, I’m stuck with my Macbook Air working on 1 screen + the laptop screen. I’ve been wanting to get an iMac for a while now, and the fact that you can connect two external displays to it is a huge plus. Now, when the iMac Retina was announced, I was floored. I did a configuration of the original iMac with a 1TB fusion drive which came out to about $2,299, compared to the retina iMac that starts at $2,499 (base model starts with a 1TB fusion drive). So essentially, you’re just paying an extra $200 for all those extra pixels, which is a STEAL! Anyway, I keep watching videos and reading reviews on the retina iMac, which is my usual ritual for whenever I get infatuated with hardware (like my MacBook Air in 2013, and more recently a Wii U…more on that later). After pining over these things for about a month, I end up just biting the bullet. I guess, at least in this case, I’m already doing a bunch of tech work, so it will eventually pay for itself. 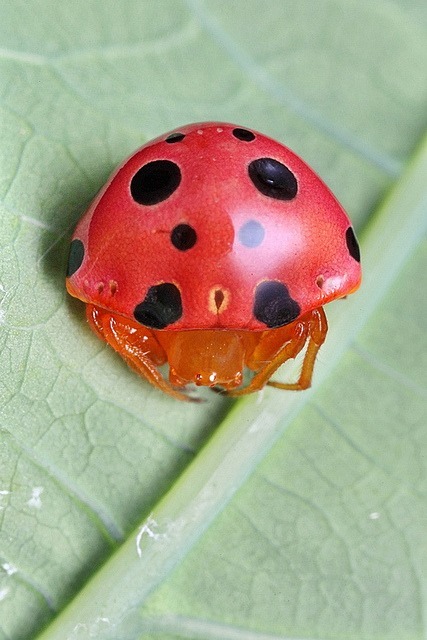 Here’s a cool photo album of insects who are not what they seem. This piqued the little science nerd inside of me (which is actually very little). Damn nature, you not as scary as you might seem (sometimes)! Wow. Thanks to one of my best friends, Tim Fox Dominguez, for stalking my blog and showing my original post to me. I completely forgot about it until he showed me. I guess there’s no time better than now to provide an update to this post, exactly 5 years later. Let’s start off with what I’ve been successful with. SUNDAYS DAY OFF! This is definitely one of the huuuuge plusses of my life right now. I can’t believe I worked 7 days a week before. I mean, the income was good, but I’m glad I have way more time to do the things that I want to do (which is sometimes nothing hah). HIGH RISE in Saipan. 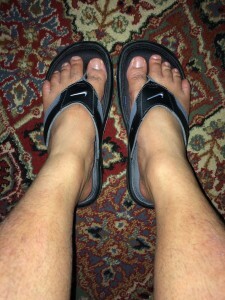 August 2014. The next thing I’ve been semi-successful with is a gig one or two nights a week. From where I was before, I wasn’t in a band, so that was my way of saying that I really thought I should be in a band. Well, I was in a band, High Rise, for a couple years. I still technically am with them, but we gigged for a couple years straight (and for a short time, twice a week). We eventually decided to take a break, but we are still for-hire for private gigs. So I guess I fulfilled my want for being in a gigging band. I’m glad we stopped gigging though, because staying up til 2am during a night can really take a toll on you. Next subject! In terms of teaching lessons, I’m teaching 6 days a week now instead of 7. Teaching lessons is really good money, and I don’t think, at least at this point, that I can sacrifice my weekday teaching. Maybe when my programming business picks up, I can take it easier on the weekdays. I really hope that’s the case, because sometimes it can be such a drag to teach until 7 every day. As for my day j obs, I am still a wedding pianist full time, although the wedding biz is slowing down. I think I actually may catch “the fear” (Friends reference) and be scared into trying my hardest to be a web programmer full-time. 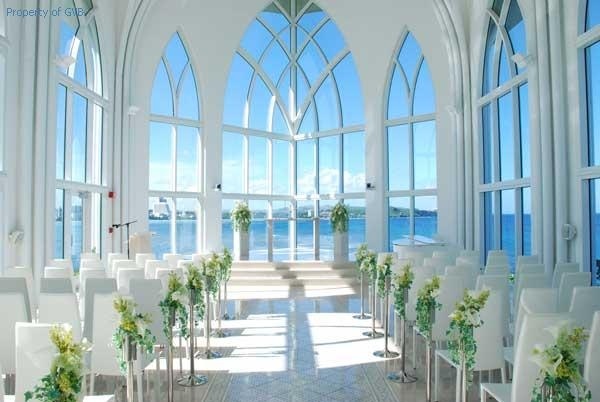 We are losing one of our most popular wedding chapels, Crystal Chapel (Nikko Hotel), so I expect my numbers to go down by a lot starting early next year. 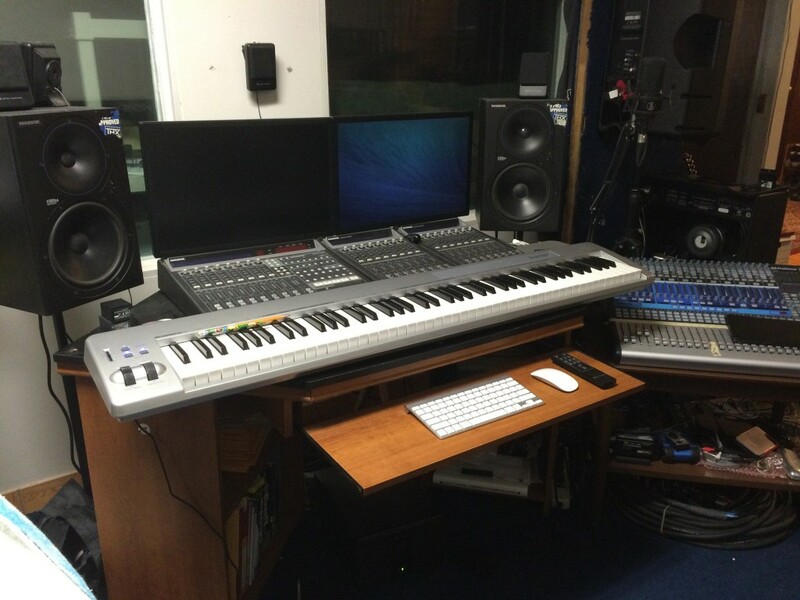 Yosemite and MIDISport 4×4 [update] — M-Audio Makes A Public Statement! Yes! M-Audio makes a public statement to all Yosemite users for their products. I was so sad that I might not be able to update my recording rig to Yosemite, especially if I decide to buy a newer Mac, but it turns out that M-Audio is indeed working on new drivers for Yosemite. I’m glad they are, because I would have stopped buying any of their products for fear of quick obsolescence. I’m sure I’m not the only one. 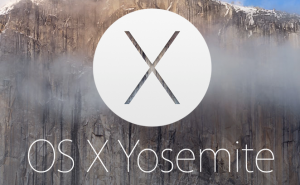 Apple’s newest operating system Mac OS X 10.10 Yosemite introduces significant changes which may require updates to the drivers or the software included with your product. We are conducting ongoing testing and development in order to support this new operating system with our products. I know I already posted about CurrentC yesterday, but all of Reddit (at least /r/apple and /r/android) rejoiced at this turn of events. While this doesn’t really affect me directly, but I thought it’d be nice if Apple Pay started spreading now so that when I finally get a new iPhone, I’d be able to use Apple Pay almost anywhere. Anyway, this was what I was looking up for most of the day, so this is the Reddit of the Day. Ciao! Welp, I finally did it. Dedicated to Tim Fox Dominguez who has been nagging me to play this game for the longest time. 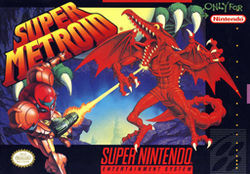 It’s been out since I was a wee lad, but I haven’t gotten around to playing it at all until this year. Let me tell you, it is a great game. It’s very well made, the soundtrack is awesome, and there is a lot of thought and depth put into the overall design of the game, aesthetically and gameplay-wise (is that a word?). Anyway, I finally finished a complete deathless, saveless run of it after months of on-and-off practicing. I’ve been using these two PHP applications for a long time now. I didn’t want to call them CMS’s because WordPress isn’t really a CMS. And I didn’t want to call them Blogs because Drupal isn’t really a blog. Although they both can probably do everything you need them to do, there are huge differences as to which one you should use. I’m going to keep this short, because there are many other comparisons online about these two pieces of software, but I’m hopefully going to cover them from a first person perspective, rather than a completely objective perspective. Who should use it: People who need a blog. Sure, there are tons of plugins to add functionality for CMS like features, but natively, it doesn’t support it. Who shouldn’t use it: People who need to organize a lot of different types of data. Pros: Great Text Editing. Great media organization. Great Plugins and themes. Looks beautiful out of the box. Cons: Not necessarily good for data, file, and general content management. Database tables must be created manually with PHP (this could be a pro for some people). Summary: It feels like the Apple of PHP software. The software has beautiful design and it encourages its developers (for plugins and themes) to make their software with beautiful designs as well. It works right out of the box if all you need is a blog with great media and text editing. Who should use it: People who need to organize dataand content quickly and easily. Between its built in support for fields and views (with a module), you can organize your data quickly and easily. Programming experience a plus. Who shouldn’t use it: Newbies to PHP software. Pros: Fast development for different types of content. Tons of customization options. Create databases with point and click. Cons: Looks ugly out of the box. Steep learning curve. Can be a headache to get it to work exactly how you want it. Summary: It feels like the Linux of PHP software. It doesn’t really do much out of the box, but you can (and have to) configure it to do what you want and need it to do. It is great software for rapid development of database systems and can do everything you need it to, but it will take a lot of tweaking to get there. I use both and will continue to do so. Drupal can be a real headache sometimes, but if I need to organize a lot of different types of content, it makes it a breeze. WordPress is such a pleasure to use, but if I want to organize different types of content, it can take much longer than a Drupal website could. 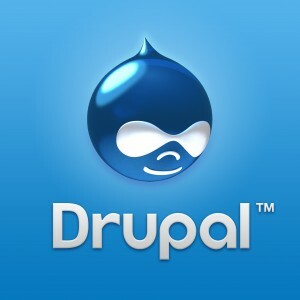 I think Drupal could become my #1 choice if the Text Editing and Media organization could reach the wonderful usability level that WordPress has. Until then, I will continue to use both. So I had my first wedding at the Lotte Wedding Chapel last week. 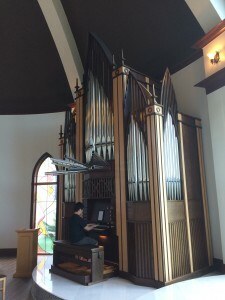 The pipe organ has been there for several years already. It was built in Germany, then disassembled and then reassembled here with the same people from Germany. So…I imagine it cost a pretty penny. When it was actually time to play it in front people though, It was pretty nerve wracking! I have never played on a pipe organ before, and it is LOUD! Knowing this, I practiced for 2 hours the day before the wedding, and then for 30 minutes right before the wedding. Luckily, I only have to use the foot pedals during the beginning and ending wedding marches, but it is still really hard for someone who doesn’t know what they’re doing. Anyway, the wedding went really well, even under lots of pressure. I was so relieved afterwards, but it was worth it, because it was so much fun. I’m looking forward to doing more weddings there! 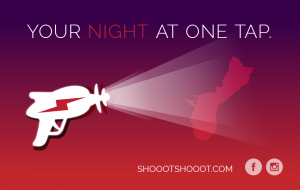 So I’ve been working with my company, Gecko Labs, and one of my old friends, John Bermudes, to create our mobile web app, Shooot Shooot (click with mobile phone)! It’s an app that lets you view what’s going on in Guam in one tap.